I've only read his poetry, but this sounds very nice! Good review! I haven't read any of his poetry; I don't really read poetry! Thanks! I have read a lot of Poe but haven't read this one. Don't even recall the title. Must remedy that as it sounds like vintage Poe. I do hope you read more. I'm not a fan of much of his poetry, but I do really like The Raven (you should try reading it again, it is very good) and The Conqueror Worm. But even though those are both great poems, I much prefer his excellent, eerie short stories. 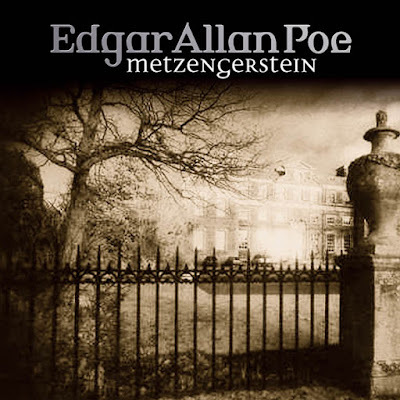 I have read a lot of Poe so its surprising to me that I missed this one. Off to read it now. Nice review, Priya! I have read one or two stories by Edgar Allan Poe and have found them scary. I think the last one I read was 'The Tell-Tale Heart'. I think he was the original master of horror fiction. 'Metzengerstein' looks a bit scary too. Carl V. - I am not really sure how famous this story is. Like I said, it is his first published story...and when someone suggested I should read Poe's early works, I chose the earliest! I don't really like poetry. But you're not the first one to tell me to give The Raven another try; so I will! Thanks for stopping by! Kailana - Well, I am only reading his short stories for now! Even poems, maybe. I am not even sure I like these gothic kind of stories. And I am certainly not ready to take on any novels of this sort!! CHE - Lol. I am not sure if the story is popular at all! I hope you like it! Vishy - Thanks!! I have heard that The Tell-Tale Heart is really good. This one is very eerie; and scary too in a good way!